If you hire a Woodburn carpet cleaner every 12 months it will help preserve the quality of your carpet and extend its lifetime. There are several benefits to professional carpet cleaning in your home or business. Deep cleaning carpet removes embedded soils that damage the carpet pad and fibers. Professional equipment and solutions remove allergens and other bacteria too for a healthier home. Just be sure to hire the right carpet cleaning company in Woodburn. Avoid Woodburn carpet cleaners that advertise steam cleaning or prices too good to be true. These services saturate carpet with water, soap and chemicals for their cleaning process. Don’t sacrifice quality for cost as it can lead to damage to your carpet or the need to schedule a different cleaner soon after. Chem-Dry of Fort Wayne is proud to serve Woodburn homes and business with a low-moisture service free of chemicals. The all-natural carpet cleaning solution we use for our process is The Natural®. The Natural creates millions of bubbles powerful enough to push dirt and bacteria to the surface of the carpet. Then Hot Carbonating Extraction (HCE) extracts soils and germs from the surface using powerful suction. The dirt is transferred to disposal tanks and gone from your home for good. The entire process is fast and effective! After we are done, your carpet dries in just a couple of hours later. We offer deep cleaning for furniture too! The process is almost identical to our carpet cleaning. Our technicians vacuum the upholstery and then apply The Natural® to the surface. The Natural lifts the dirt to the surface and then our extraction equipment removes it from your couch, recliner or dining room chairs. Your furniture is cleaner and healthier. The service can be used on ottomans, car interiors, boat interiors and all upholstery. Include rug cleaning from Chem-Dry of Fort Wayne during your appointment. We offer superior results for area rugs, runners, Oriental rugs and heirloom rugs. We have years of experience cleaning all types of rug materials and constructions to ensure excellent results for our customers in Woodburn. Schedule today! 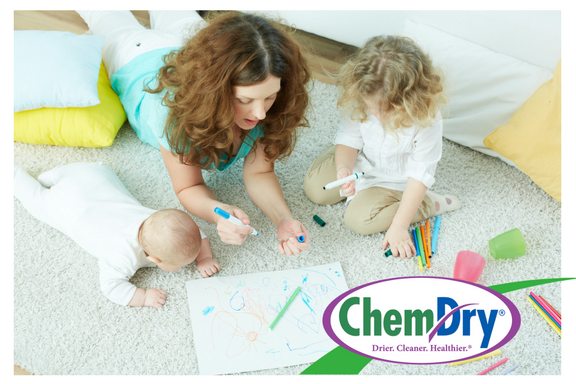 Call (260) 409-1138 for Chem-Dry of Fort Wayne in Allen County, IN.